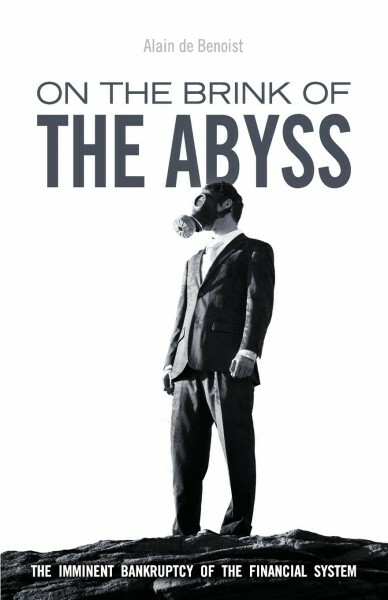 This book is a collection of essays written in response to the international financial crisis of 2008 and its aftereffects. The problem with most discussions of the crisis, Benoist notes, is that they focus on attempting to reform the present economic system in order to prevent such disasters from recurring. This is a mistake, he says, since the problem actually lies with the nature of the present-day form of international capitalism itself, a system which privileges the unbridled desires of the individual over the needs of the community; which protects the wealthy at the cost of the middle class and the poor; and which is causing so much suffering worldwide by making it easy for corporations in the richer countries to outsource their labour to other, disadvantaged ones, to the detriment of both. It is this system which must be questioned at its very foundations. 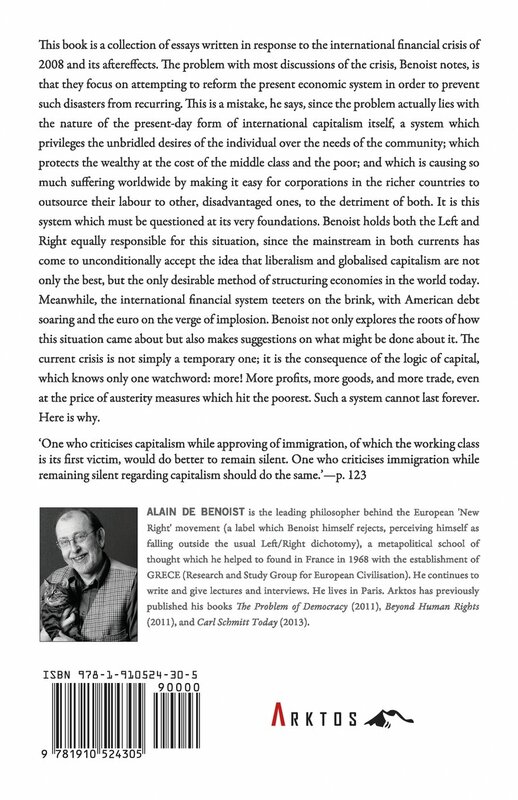 Benoist holds both the Left and Right equally responsible for this situation, since the mainstream in both currents has come to unconditionally accept the idea that liberalism and globalised capitalism are not only the best, but the only desirable method of structuring economies in the world today. Meanwhile, the international financial system teeters on the brink, with American debt soaring and the euro on the verge of implosion. Benoist not only explores the roots of how this situation came about but also makes suggestions on what might be done about it. The current crisis is not simply a temporary one; it is the consequence of the logic of capital, which knows only one watchword: more! More profits, more goods, and more trade, even at the price of austerity measures which hit the poorest. Such a system cannot last forever. Here is why.